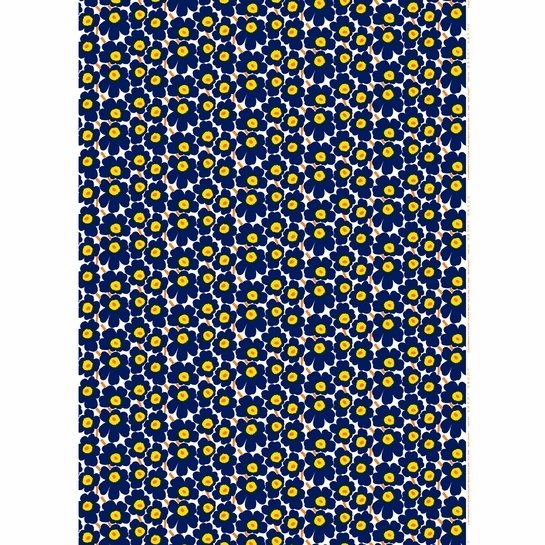 More about Marimekko Mini-Unikko Indigo / Yellow Fabric Maija Isola's iconic Unikko (Poppy) print in miniature shows that small can still be bold. 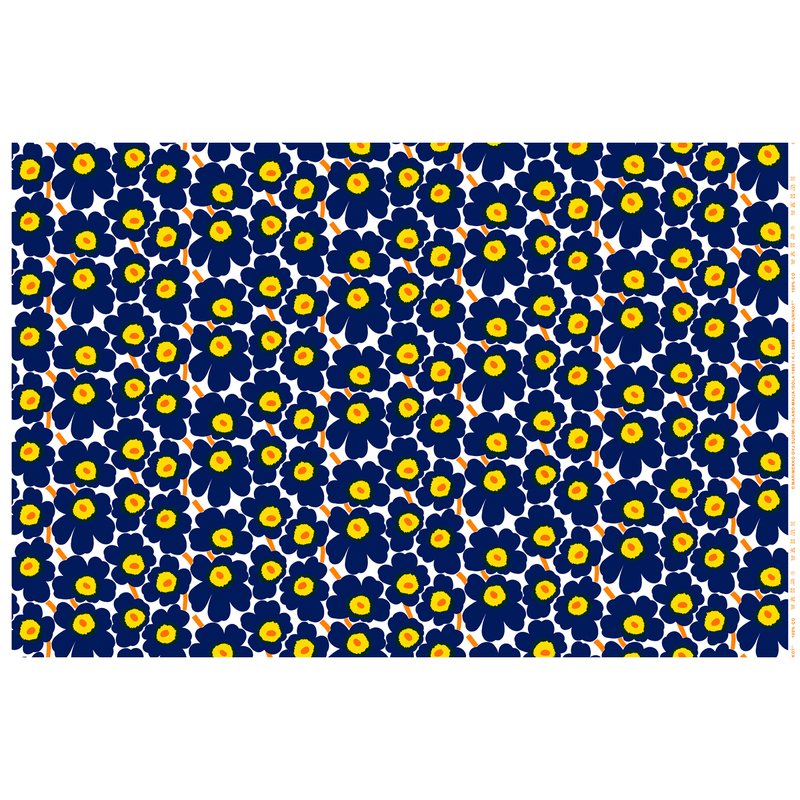 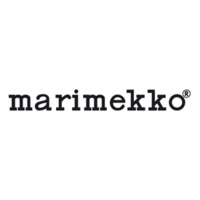 Marimekko Mini-Unikko is just right for smaller scale productions such as pillows, bedding or skirts. 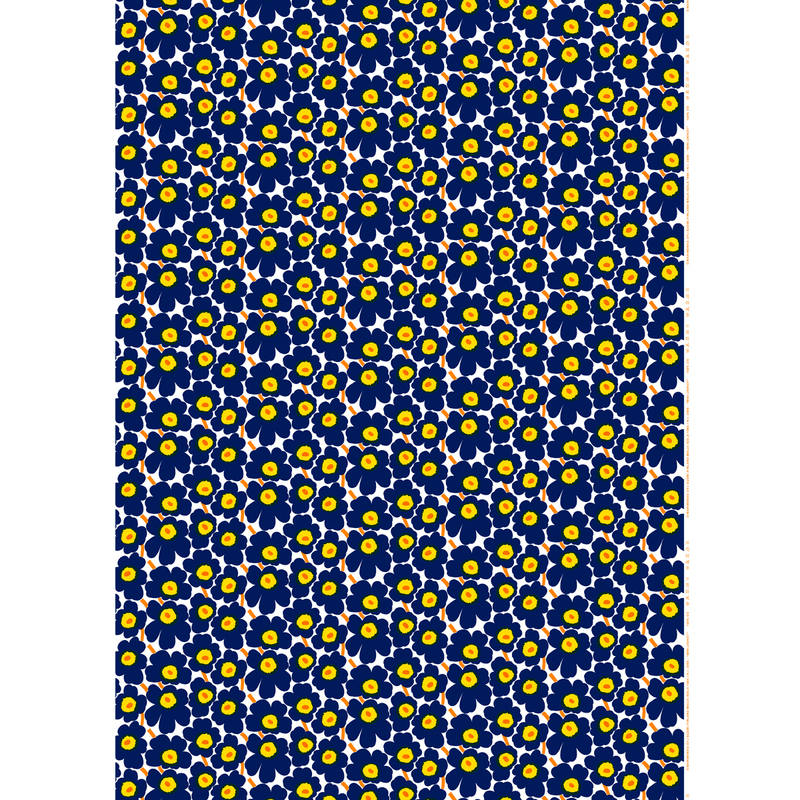 Printed in Finland on 100% cotton, this heavyweight fabric is easy to work with and machine washable.